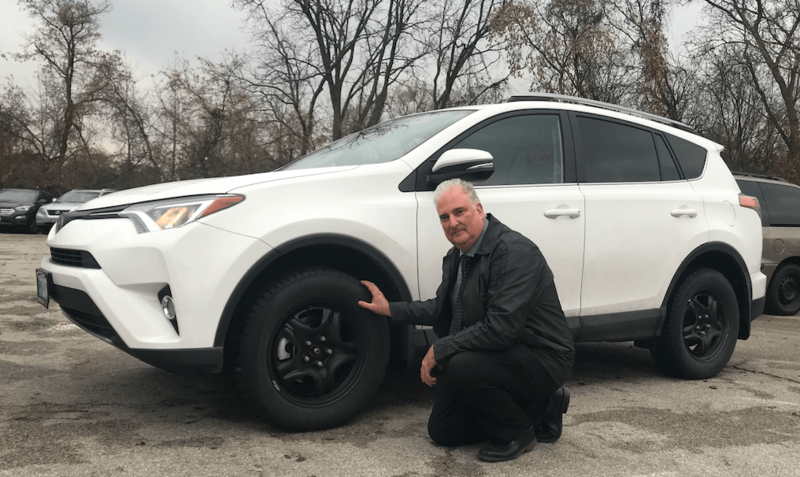 Mississauga Toyota | Blog | HAVE YOU PUT ON YOUR WINTER TIRES? HAVE YOU PUT ON YOUR WINTER TIRES? The big blast of cold and snow this past week has all of Ontario shaking in their boots. However, that shaking may be from the fear you’re experiencing because you either haven’t set out to change your winter tires yet or you need new ones and you haven’t ventured out to get them. Stopping Distance – This is a fact of winter tires that most of us are aware of. Snow tires will shorten your vehicles overall stopping distance by 30 to 40%. The Old Farmer’s Almanac is calling for below average to average temperatures in November and December with more snow than previous years. Toronto isn’t known for a lot of snow but if the almanac is correct it’s better safe than sorry. Tire Rubber Matters – The rubber compound found in winter tires is engineered to stay softer when the temperatures dip below freezing. All-season and Summer tires simply don’t have the same properties and get harder with colder temperatures. Even when the roads are dry in the colder months, winter tires will still grip better than the rest. Your Toyota Safety Sense Will Work Better – Most safety sensors and systems work best when tire traction is optimized. Having winter tires on your car will assist Toyota Safety Sense and a stress-free driving experience this winter. Hopefully the three points above will be a friendly reminder why you should make an appointment to get your winter tires installed or set an appointment with us to look at a new set of winter tires for your vehicle. Along with various available rebates and price matching we have in place I’m confident we can find the right winter tires for your car and budget. We also offer financing options for your new winter tires if needed. If storage is a concern Mississauga Toyota can easily store your tires season to season, leaving one less thing to stress about! I won’t wrap this post up with a cliché like “now’s the time to change your tires” but I will say that knowing how fast time flies through November and December as all our schedules fill up, it’s a smart move to carve out some check the winter tire task off your list. If you have any questions at all, please don’t hesitate to drop me a line or stop by the dealership. I’ll be happy to assist any way I can.